The best candidates for a plastic surgery are people who are in good health, want to improve their appearance and have reasonable expectations about the surgery performed. It is important to be honest and discuss all doubts, desires and concerns with your surgeon to get the best possible results. What doctor can perform this surgery? A plastic surgeon, once you have decided to be treated by one you should always make sure he is qualified and board certified because this is the only guarantee that you receive proper treatment, the plastic surgeon must have the approval of the Dominican Medical Association (CMD) and the Dominican Society of Plastic Surgery (SODOCIPRE). Before selecting a surgeon make sure that it is certified and endorsed by national societies (SODOCIPRE) and international plastic surgery associations. 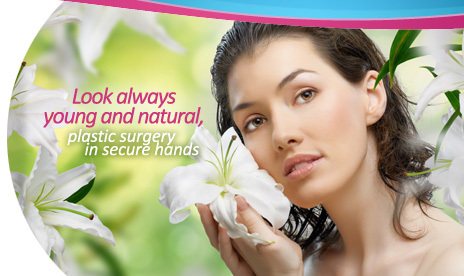 Make sure you feel comfortable and confident that this doctor is also trained in plastic surgery. If each surgery is planned correctly, and if it is performed by an experienced specialist in a clinic that has adequate staff and equipment the risks and potential complications are minimal. The discomfort and pain are variable in each patient which it is important proper management with analgesics, it is recommended to be admitted for 24 hours for monitoring and management of pain and the next day continued with analgesics at home, if they are used adequately you will have good control of pain and adequate recovery. Is there a product or activity that should be limited before surgery? • Stop smoking at least 8 weeks before surgery to prevent skin problems and serious medical complications following surgery. • Stop using aspirin or products containing anticoagulant properties at least 10 days before surgery to minimize the risk of unnecessary bleeding. • You want to be healthy at the time of your surgery. For this reason, if you have a cold or fever, rashes or open wounds, contact your doctor's office immediately to reschedule your procedure and minimize the risk of surgical complications. How do I prepare the night before and the day of my procedure? • It is important not to eat or drink anything after midnight the night before surgery. • You should bathe with antibacterial soap the day before surgery and the day of surgery, but avoid rubbing the areas that have been marked for your procedure. • Do not shave the surgical area nor apply a moisturizing lotion. • Use minimal makeup to the hospital. • Wear a loose or front buttons dress. Leave jewelry and other valuables at home. • Arrive at the clinic an hour before the scheduled surgery. After surgery, you will stay in the recovery room for about an hour before being transferred to the area of ​​post-surgical care. If you are an outpatient, you will be discharged when your condition is stable, usually about 4-6 hours after the procedure is completed. You must be accompanied by someone who can drive you home and you will also need help at home for the first 24 to 48 hours after surgery. you should limit activities during the first 24 hours and start taking pain medications and antibiotics prescribed during your preoperative appointment. Contact your doctor if you have unusual symptoms or have any questions. When I can resume my normal activities? It is not uncommon to feel a little hungry after surgery, but it is best to take your medications with something in your stomach. Small amounts of clear liquids, non-carbonated liquids and soft foods may be better tolerated after anesthesia. You can still adjust your diet after surgery so that you can feel comfortable. You should avoid driving for at least a week after the procedure and you should never drive while taking medication for pain or if the pain limits your ability to act quickly. You will need someone to drive the day of surgery and the day of their first follow-up appointment. If you have been instructed to leave their bandages in place you may only use a sponge to bathe until the doctor remove bandages. Do not take a bath if you have scars or drains and have not closed, you should only use warm pure water in your first baths after surgery. Your doctor will tell you when it is appropriate to resume normal showering. After surgery, you will be unable to exercise or do heavy work for 4 weeks. You should limit your activity to avoid prolonged swelling that can stretch the skin and avoid lifting things over your head. Furthermore, changes in blood pressure are associated with exercise or strenuous activity can cause bleeding problems. How much time is the recovery after surgery? Recovery after surgery is variable and usually ranges from 1-2 weeks and sometimes longer. The surgery which requires the longest time to rest is abdominoplasty, which you need a recovery time of two weeks. Liposuction, blepharoplasty, otoplasty, mammoplasty (augmentation and reduction) and rhinoplasty physically need less recovery time. What local care should be taken after surgery? After any intervention, we must practice "cures" resulting periodic wounds. These are made by the doctor in the office. The most important aspect in the treatment is to clean surgical wounds. Sometimes covered with a cream, dressings and in other cases were left uncovered. Similarly, it is recommended to avoid direct sunlight for a period ranging from four weeks, preventing further inflammation and the appearance of spots (hyperpigmentation) in areas with recent scars or to persist with some purple (ecchymosis). When should I go back to the doctor after the operation done? It is vital postoperative medical management by the surgeon, this is the only way you will have an adequate evolution process, allowing to make necessary adjustments and recommendations about your treatment. The patient should attend their first follow-up visit, up to 4 days after surgery performed. Are cosmetic surgeries an option to lose weight? Overall, the goal of these surgeries is not to lose weight, however if you can lose several pounds, the result of the proceedings will be assessed primarily with reducing measures. Cosmetic surgery is not a treatment that shows results in an immediate way, and sometimes you have to wait months. Obviously a breast augmentation you can see results right away. The same for a breast reduction or a breast lift. In contrast, results from liposuction are not appreciated until a month ago. In general, you must wait at least six months to have a pretty good idea of ​​what is the final outcome of any intervention.